By Brian Hoey. Apr 8, 2016. 9:00 AM. Barbara Kingsolver, author of The Bean Trees (1988) and Prodigal Summer (2000), has developed a reputation as one of the most compelling, politically-charged authors of the last 50 years. 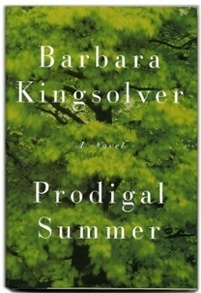 After a life of activism and travel that included a few childhood years living in the Congo, as well as a significant amount of scientific training, Kingsolver ultimately found much success (and a place on Oprah’s Book Club) with her 1998 novel The Poisonwood Bible, which depicts characters whose lives are impacted by the political strife of the Belgian Congo in the 1960s. Here are some interesting facts about her. 1. She was a founding member of the Rock Bottom Remainders. Though Kingsolver would ultimately major in biology at DePauw University in her native Indiana, she began her college education studying music on a classical piano scholarship. By her own account, she switched when she realized how few jobs their were for classical pianists. Though music ceased to be her vocation, she stayed involved in it and would ultimately help to form the Rock Bottom Remainders, a writerly super-group that has variously featured Dave Barry, Stephen King, Amy Tan, and James McBride. 2. She’s extremely wary of her fame. Kingsolver has claimed that she “never wanted to be famous..." and still doesn't. She goes on to say that "the universe rewarded [her] with what [she] dreaded most." Unfortunately, as Jonathan Franzen can attest, being selected for Oprah’s Book Club can sometimes come with unwanted attention. In Kingsolver's case, this attention took the form of a slew of fake websites presenting incorrect information about her life. Ultimately, her only recourse was to create her own official website. 3. Her activism didn’t begin with her writing. A quick perusal of her body of work should leave little doubt about what Barbara Kinsolver means when she poses the rhetorical question, “What could be more political than (fiction)?” Her reputation as a sort of activist-writer is founded on many decades of writing that is inspired by her desire to affect change. Thus, it shouldn't come as much of a surprise that her activist streak began in college. After having her worldview irrevocably shifted by reading The Feminine Mystique (1963) and Karl Marx, she became an active protester, staging a sit-in in front of her school’s ROTC building and demonstrating against the Vietnam War. 4. She doesn’t just receive awards, she gives them. 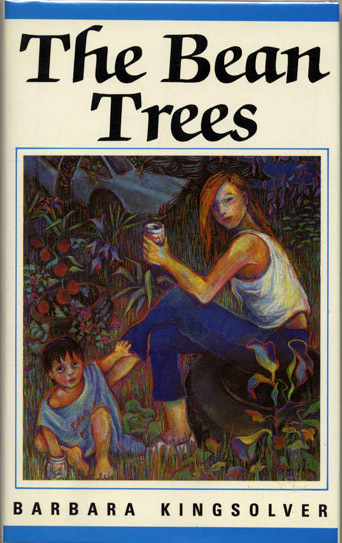 Kingsolver has variously been awarded the Orange Prize for Fiction and the National Humanities Medal, but she also, after the financial success of The Poisonwood Bible, endowed the Bellwether Prize. Every other year, $25,000 and a book deal are given to the author of an unpublished manuscript that engages with political issues. The award has since been subsumed under the PEN American Center heading, and has been judged at various times by Ursula K. Le Guin and Toni Morrison. Readers of the 2007 account of her sustainable, locally sourced lifestyle, Animal, Vegetable, Miracle will recall that her experiment involved raising livestock, growing vegetables, and making her own preserves. Some may be surprised to learn, however, that once the ‘experiment’ ended, Kingsolver kept up her farm work as a way to get exercise after writing each day.